The brief. 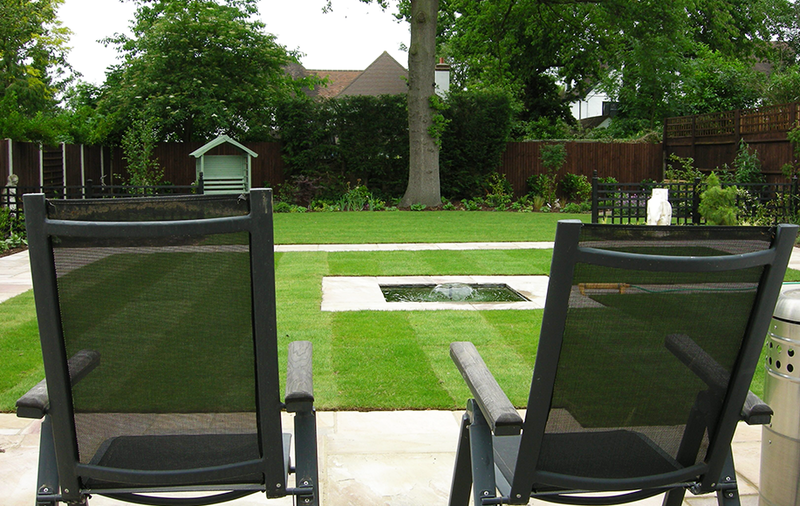 This spacious but boring garden is dominated by a large oak tree. 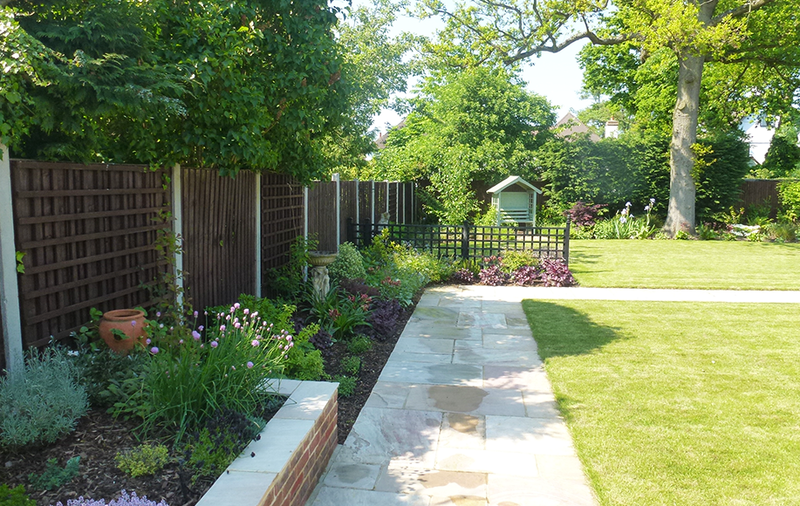 The brief included more seating areas and interest within the garden, the inclusion of the existing pergola and a beautiful marble elephant that had been shipped from India. Overlays and the masterplan reveal the design. A generous sandstone patio and wide paths provide a calm and open aspect, and a square pond brings sound to the garden. The trellis and pergola are painted black, bringing height to balance the oak tree. Nellie, the marble Indian statue rests in a soft sea of golden Hakone grass. A shady arbour will eventually be surrounded by woodland shrubs and offers a view back towards the house across the oval lawn.